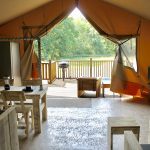 Sleeping up to 6, these luxury safari tents are the ultimate way to camp! 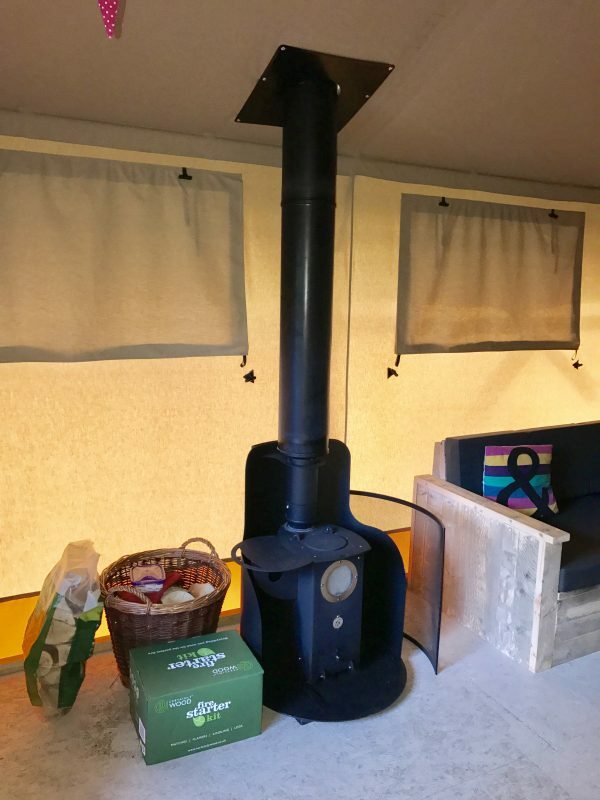 The central open plan living area offers a log burner, corner sofa, TV, and dining table - this really does offer you the home from home comforts in amazing surroundings. 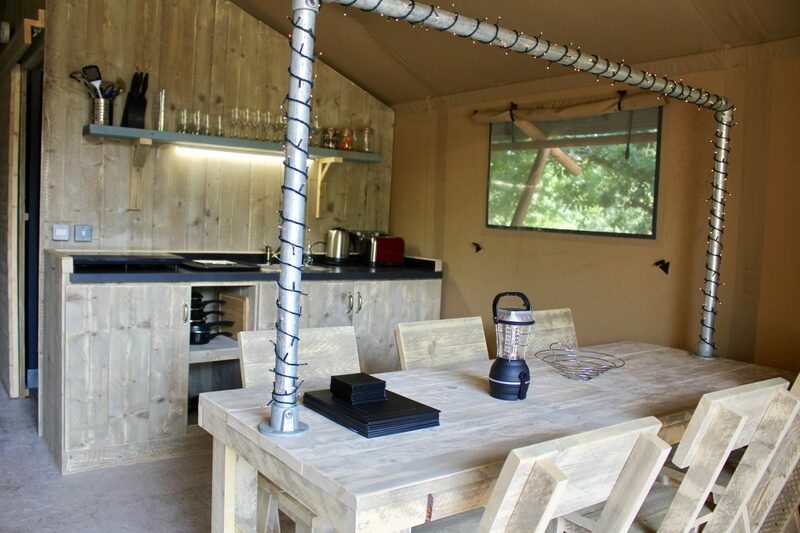 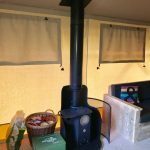 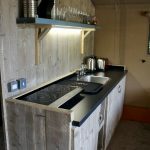 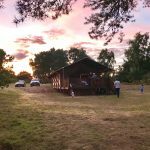 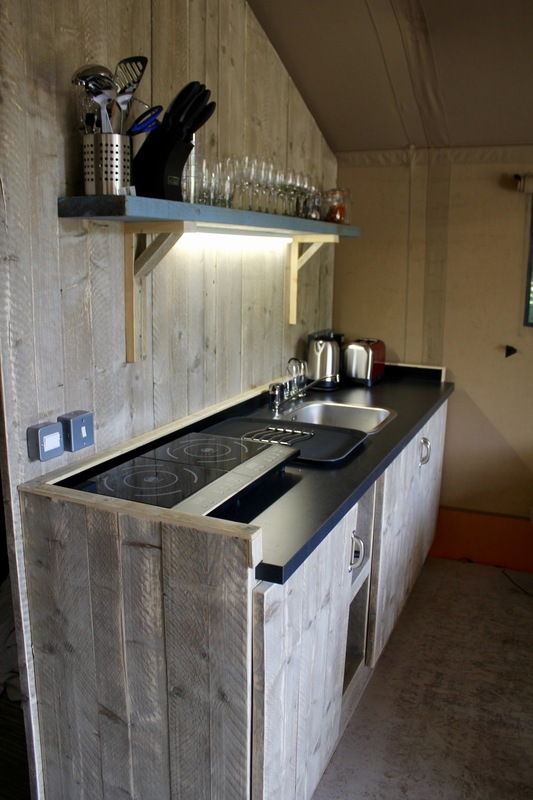 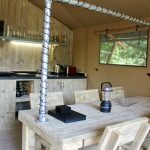 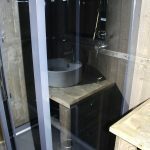 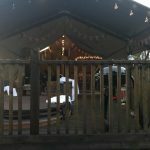 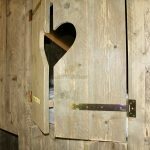 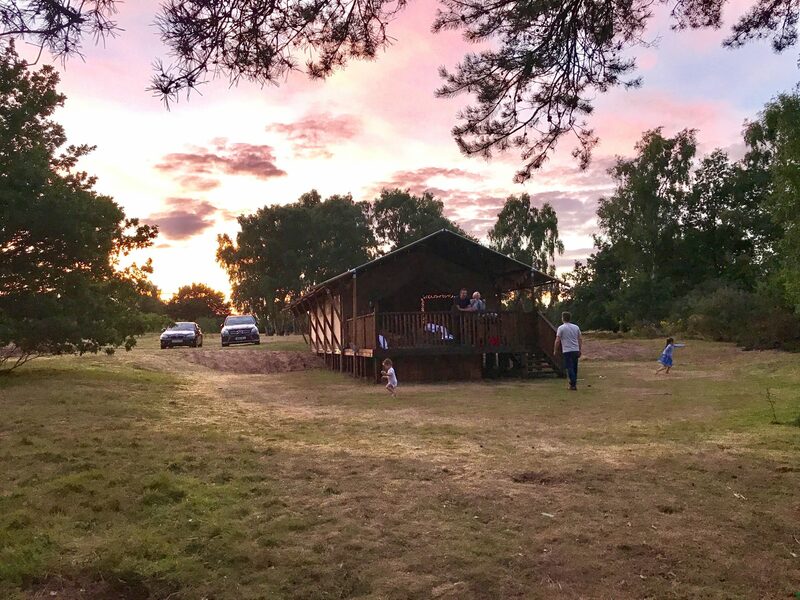 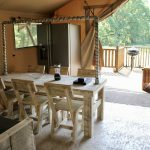 The kitchen area includes an induction hob, fridge freezer, kettle & microwave - alongside a BBQ outside for more rustic cooking in the ambience. 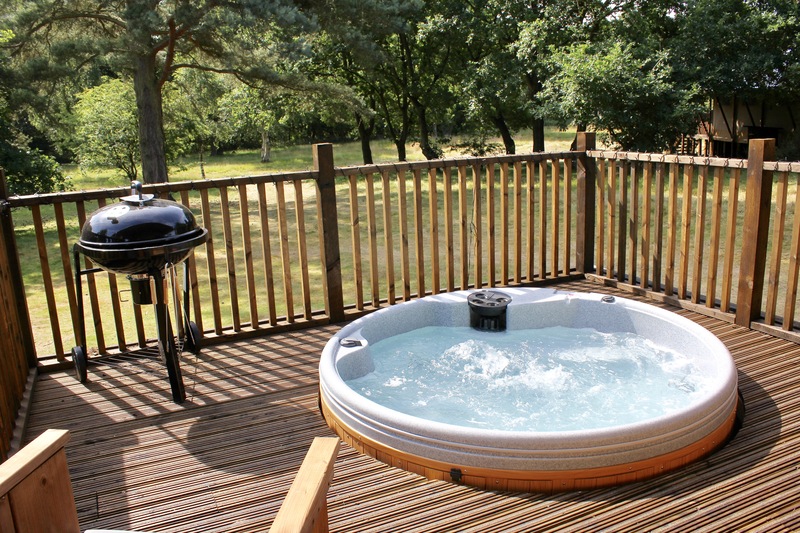 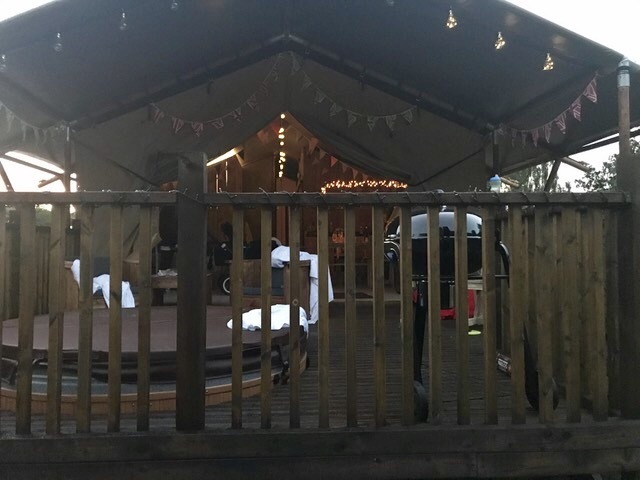 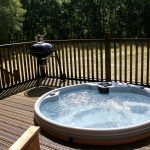 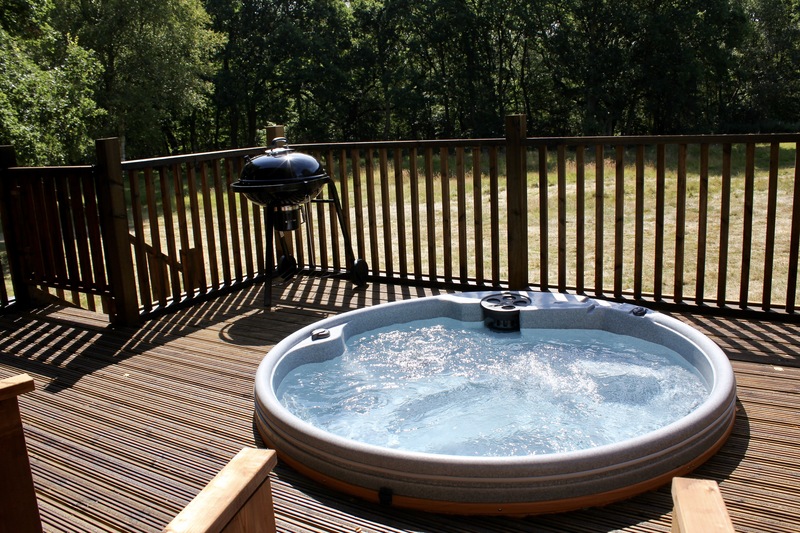 Outside on your enclosed decking area, features a 6 berth sunken hot tub perfect for watching the stars from. 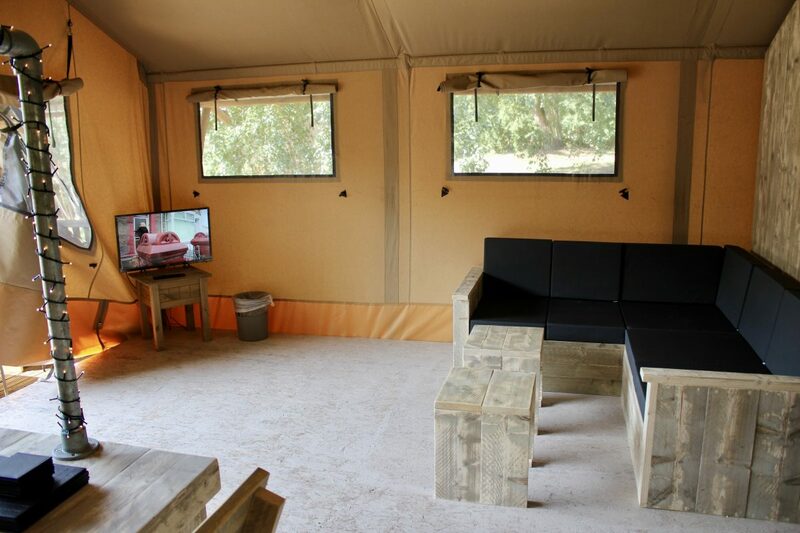 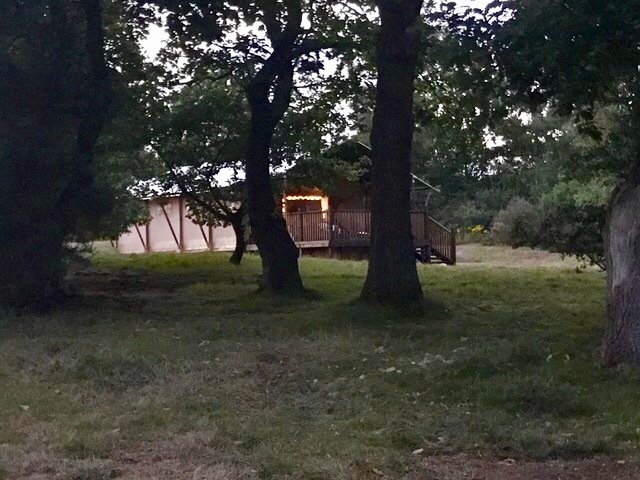 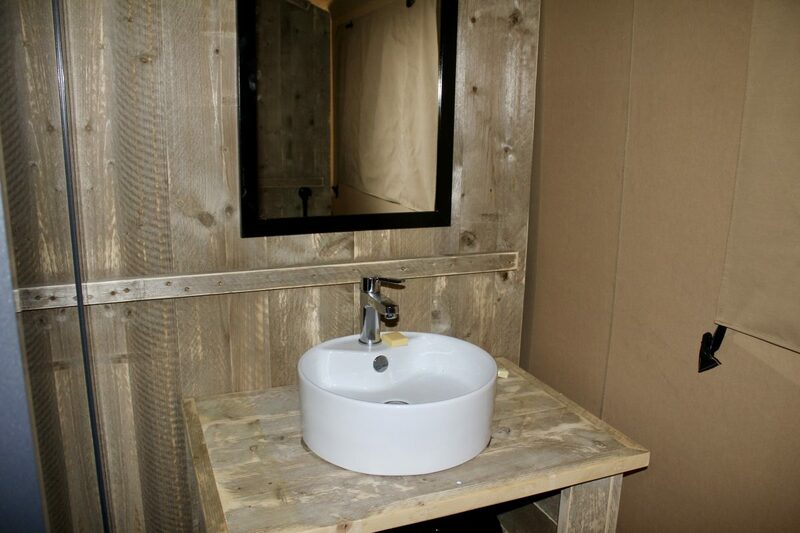 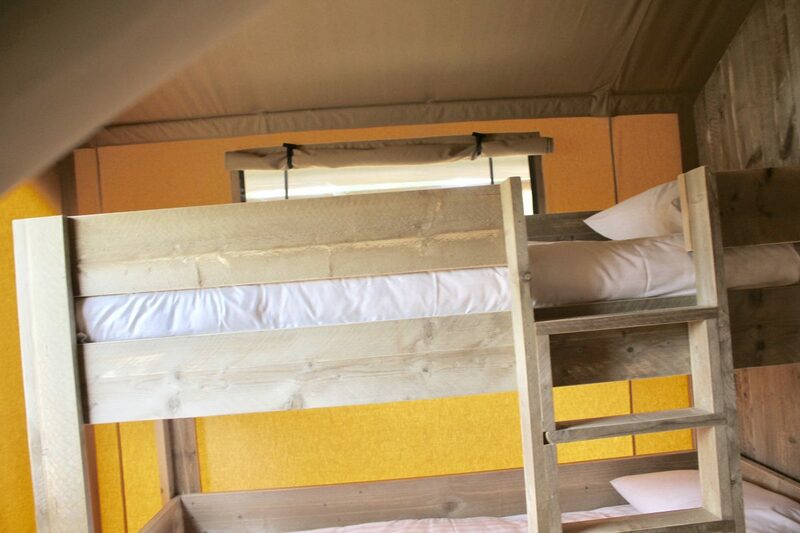 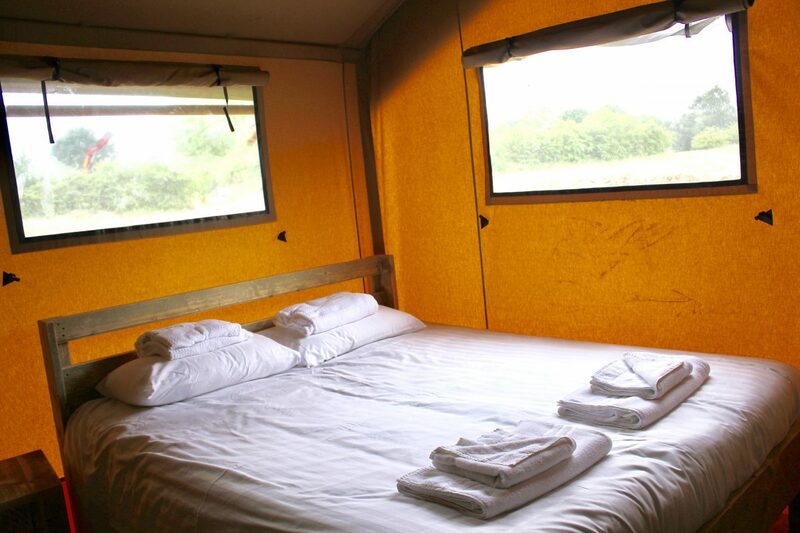 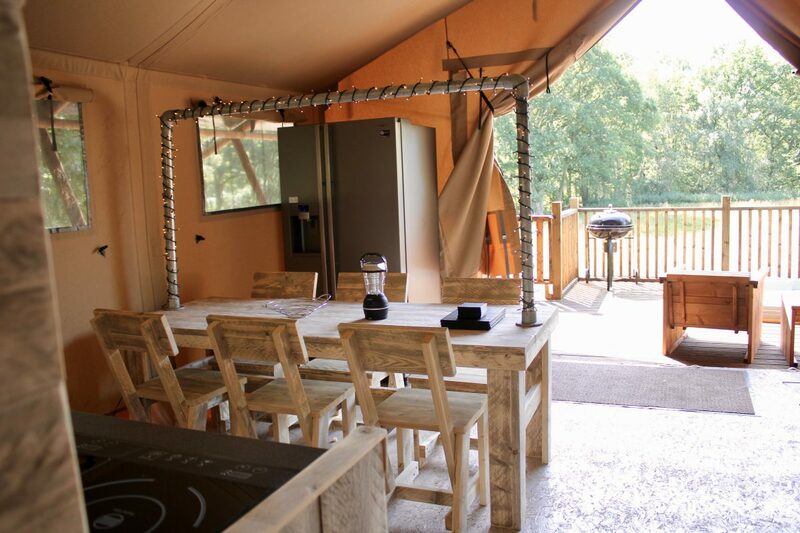 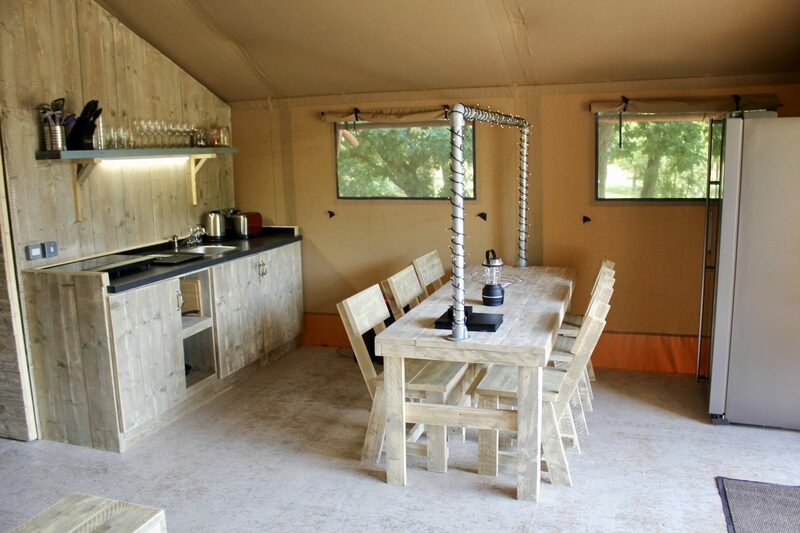 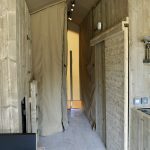 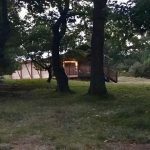 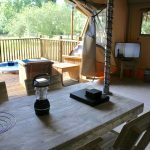 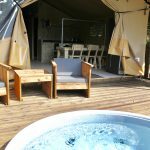 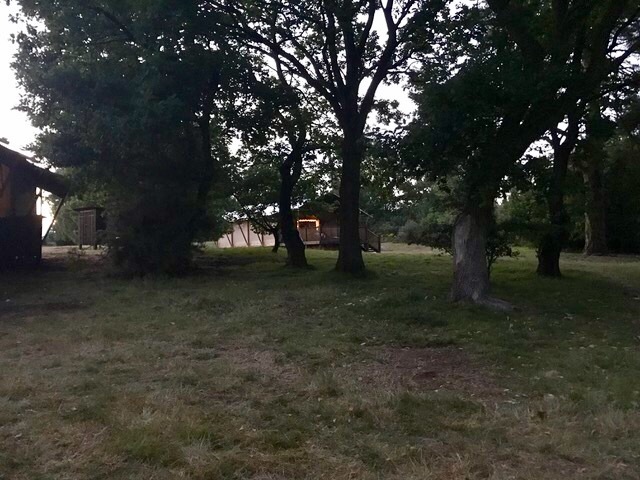 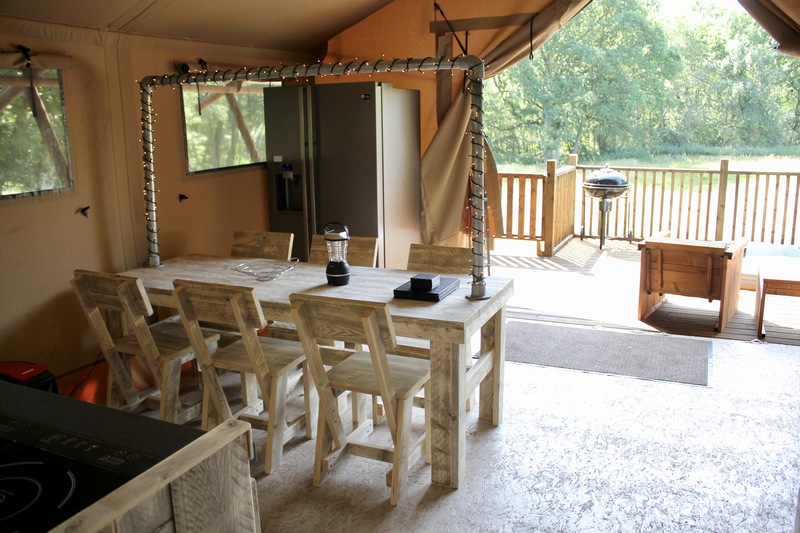 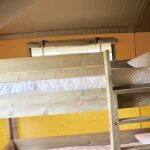 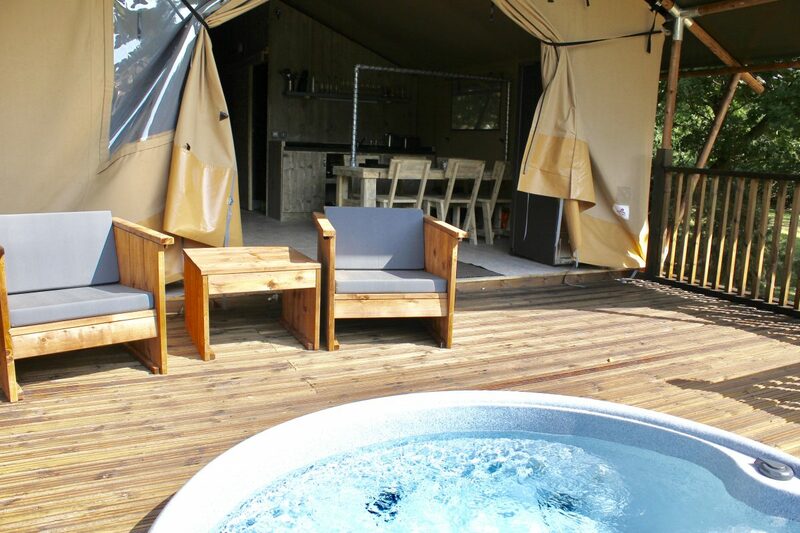 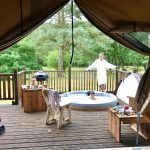 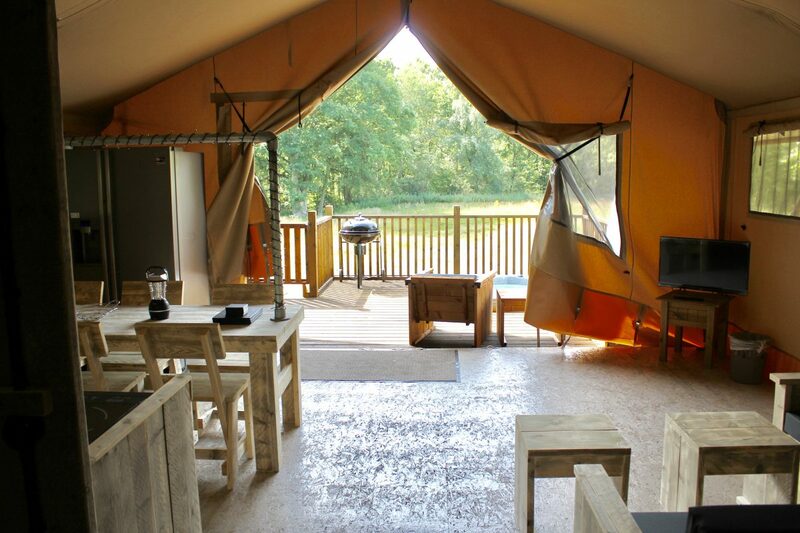 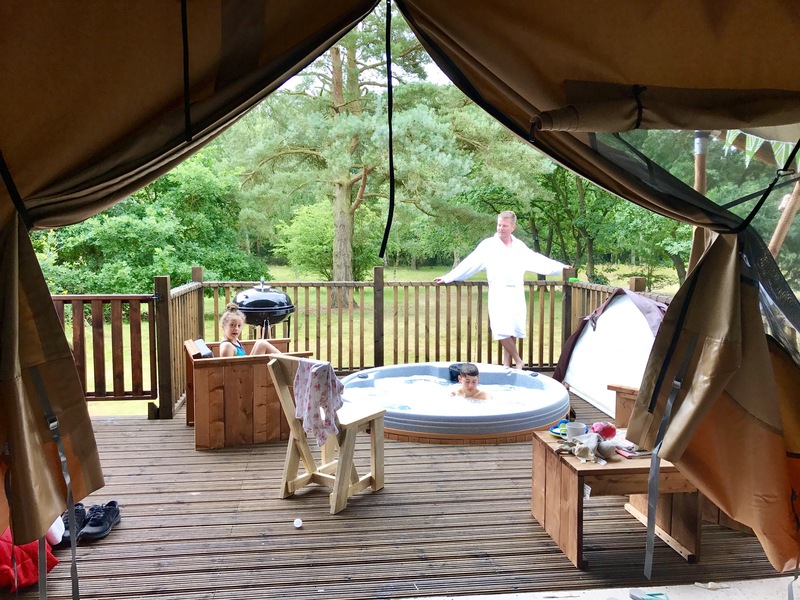 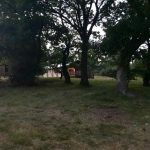 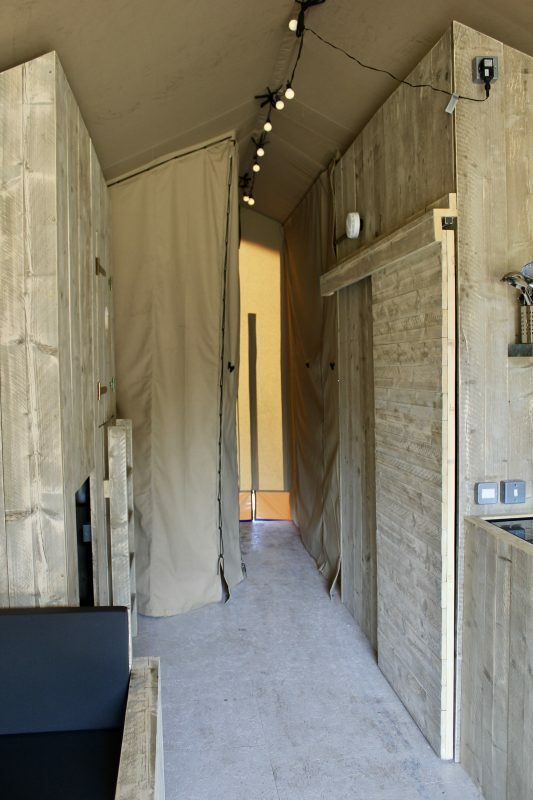 The glamping safari tent has one main double bedroom and a bunk bed room. 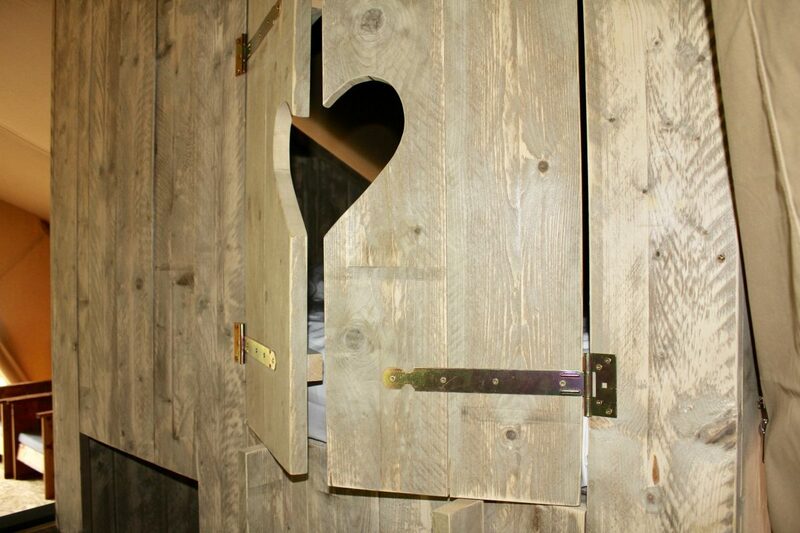 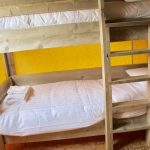 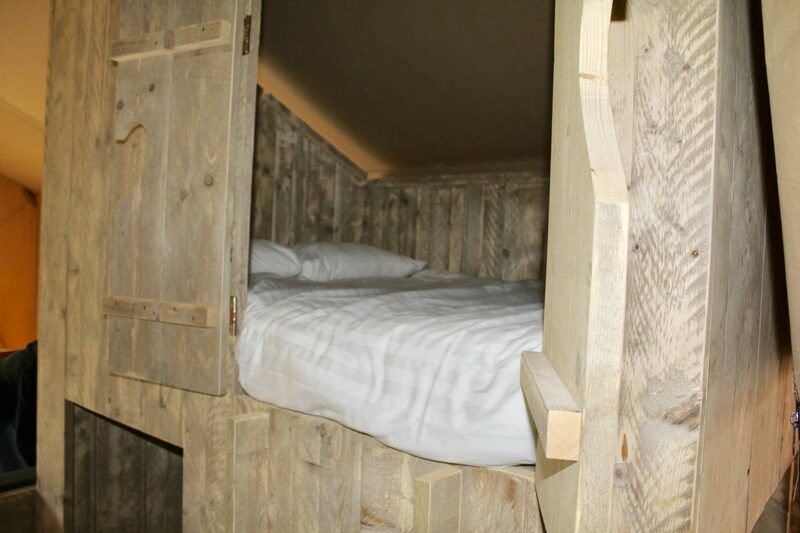 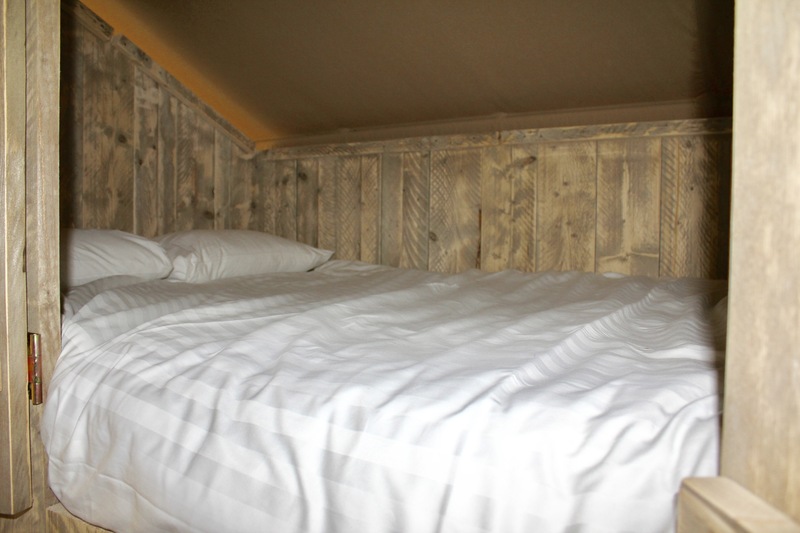 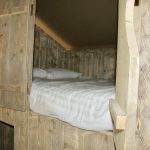 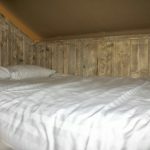 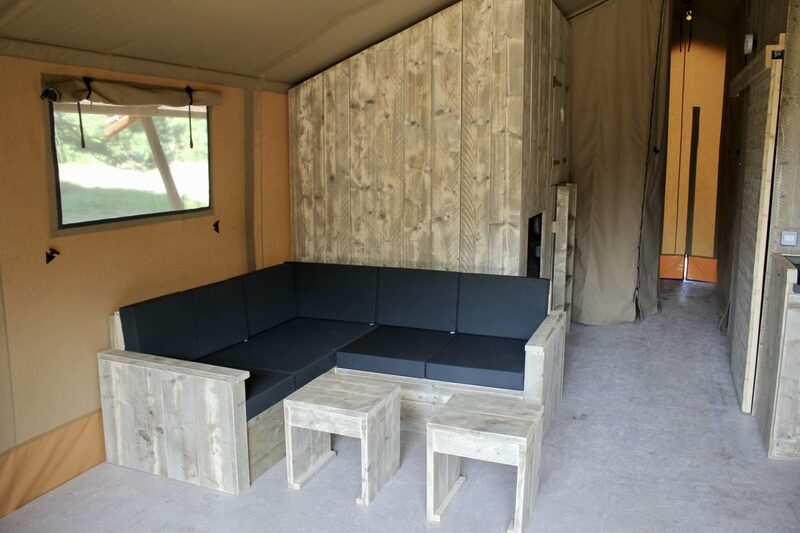 There is also a double nest bed to climb in, situated above a den with beanbags - perfect for kids to escape into! 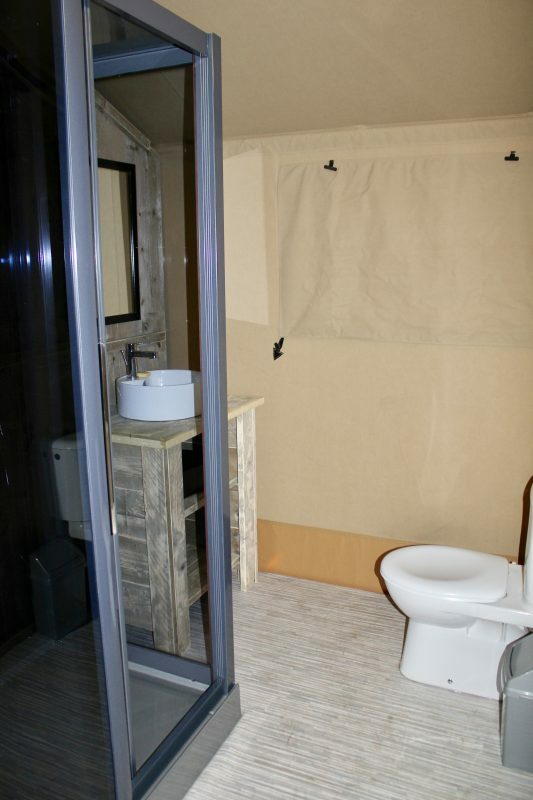 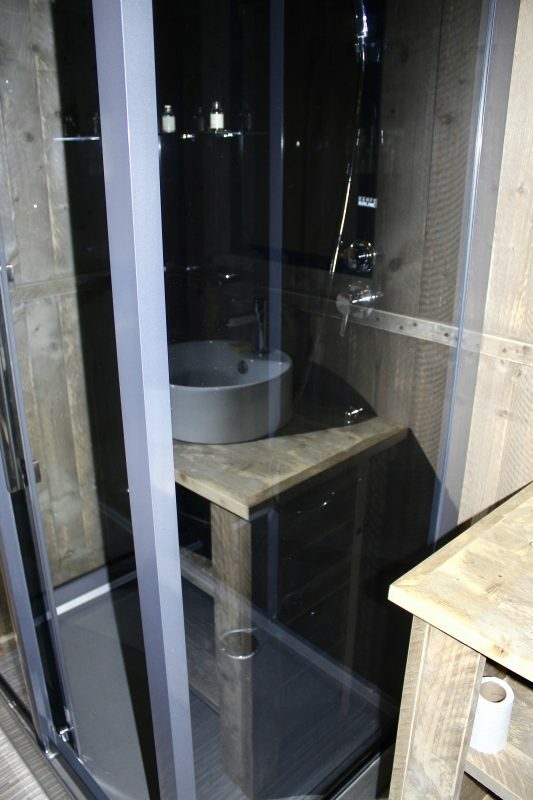 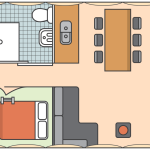 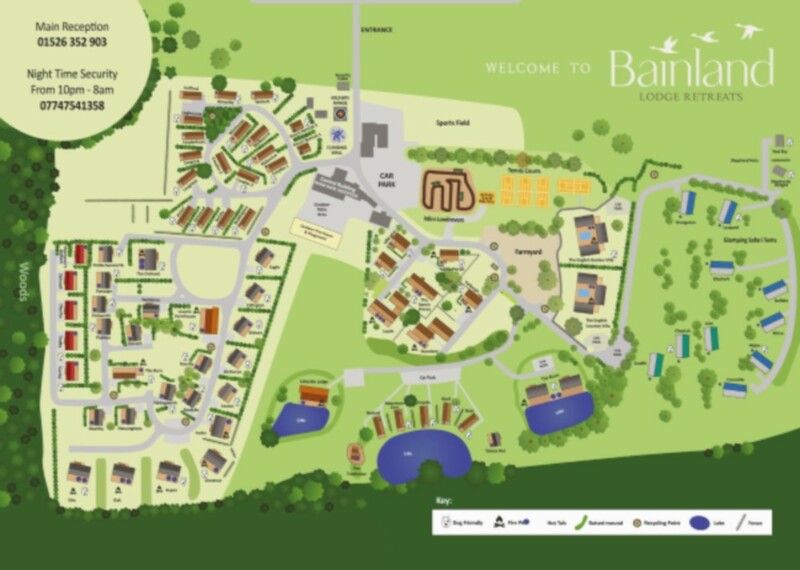 All of these bedrooms share a fully fitted bathroom with an enclosed shower & WC. 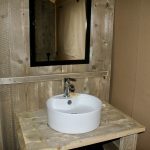 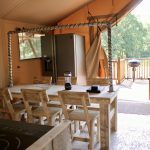 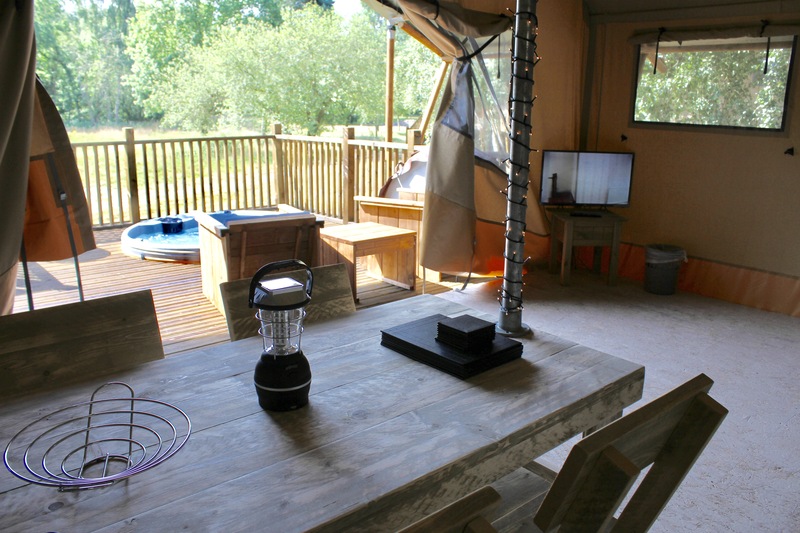 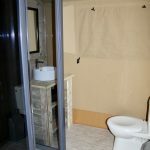 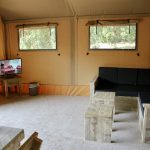 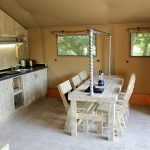 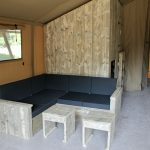 One of the Glamping Safari Tents is also pet friendly, and we welcome up to 3 dogs per booking for the relevant charges. Each furry friend will also receive their very own doggy welcome pack. 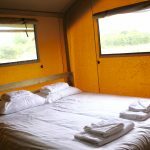 Please ensure you select a tent with a pet friendly status upon booking. 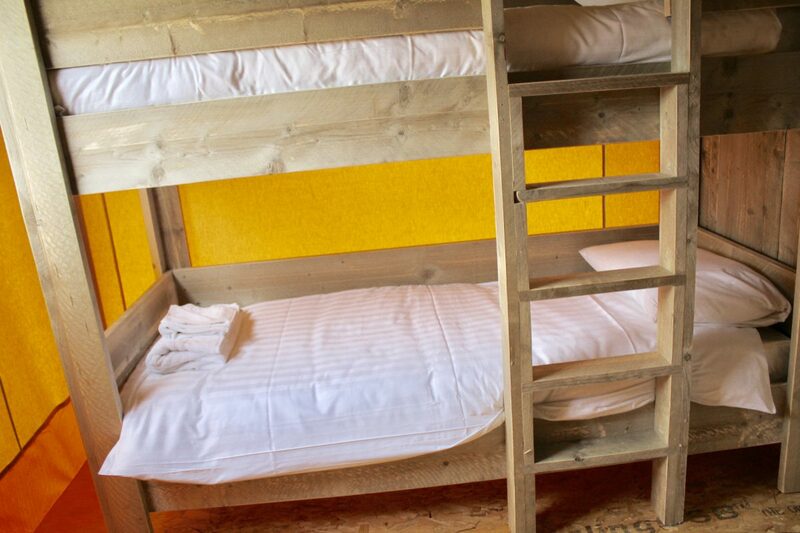 Luxury toweling robe & disposable slippers provided - per person, for duration of stay.